The Telegraph (UK) has a long and detailed appreciation of what goes into the Met Live event cinema productions, both from an artistic and technical perspective. The technical proficiency is breathtaking. Each transmission uses 10 to 12 high-definition cameras (one of which is robotic, attached to a track along the edge of the stage), making sure that every angle, from close-ups of the orchestra pit to long shots of the set, is covered. No wonder the Met won an Emmy in 2009 for developing live HD. When I was there in New York, listening to Natalie Dessay’s faultless Amina, I soon forgot that the place had been turned into a TV studio. That production required Dessay to walk up the auditorium in the sleepwalking scene (as you can see in the clip below). The producers had the editing worked out in military detail – the framing and flow of the scene was sophisticated and seamless. Australia: The COO of Hoyts is stepping down. Chief operating officer Matthew Liebmann is departing the Hoyts Group on Friday amid a head office restructure. The COO role is being eliminated as part of a “flattening” of the management structure, according to Damian Keogh, who was appointed CEO last month. 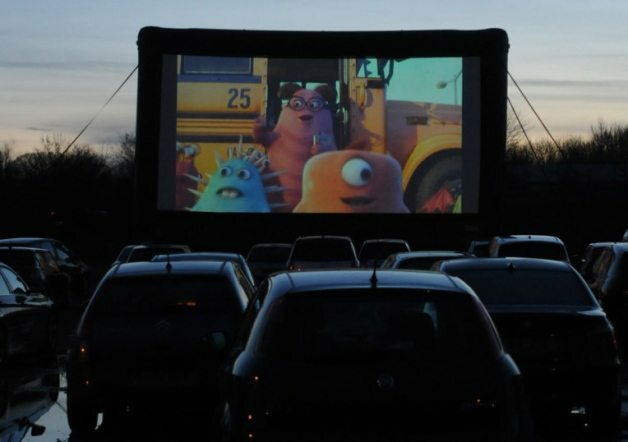 UK: The invention of the inflatable outdoor screen is greatly responsible for the renewed interest in (pop-up) drive-in cinemas in the UK and Ireland, me thinketh. For the very first time, the Chorley Carnival Committee organised a spectacular, 30ft American-style drive-in movie screen to be erected in the grounds of Botany Bay in a bid to raise funds for this year’s festivities. Apparently the most popular film was…Grease. Always Grease. India: Mexican multiplex operator Cinepolis (the world’s 4th largest cinema operator) is aggressive about its expansion plans in India. Cinépolis, an international cinema exhibitor having its presence in India, plans to invest around Rs 800 crore [USD $131 million] in in the country to increase the number screens to 400 from the present 84 in 13 cities. Post expansion, the seating capacity of the Mexican multiplex in the country will reach up to 88,000 from the current 17,600, according to Alejandro Alejandro Ramirez Magana, chief executive officer of Cinépolis (Global). Interestingly the company is planning to heavily traget South India with 180 screens and already achieved operational break-even last year. India: The CEO of India’s e-cinema (sub-DCI) network UFO Moviez makes the case for cinema advertising in the digital era. The digital era has truly democratised cinema. Prior to the digital era, only about 500-600 screens across India got movies on the day of release. Now, with almost 100 per cent digitisation, all screens across India qualify as release centres. Prior to digitisation, advertising was limited to the 600 release centres across the country. Now, all 8,000-odd digital screens across India are available to advertisers who can use cinema to reach out not only to the audiences in metros and major cities, but further beyond. India: Kolkatta (Calcutta) has produced some of the greatest ever Indian cinema directors (Raj) and Bollywood stars (SRK), but its cinemas have not kept up with those of Delhi and Mumbai. Now it is about to get a proper luxury multiplex. Australia: Construction of local multiplex makes the local television news. After years of talks, construction of a new eight screen cinema at Lake Haven is expected to finally get underway tomorrow. 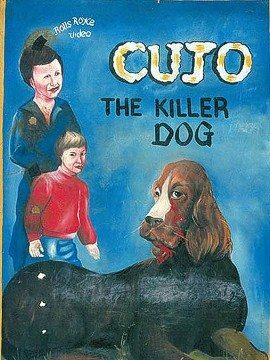 How would you go about painting a cinema poster for a film you had not seen, whose plot you did not know and whose actors you are not familiar with? If your only brief was to pack a crowd into a mobile African cinema hall, you might also want to add some incidental aliens shooting laser beams from their eyes. 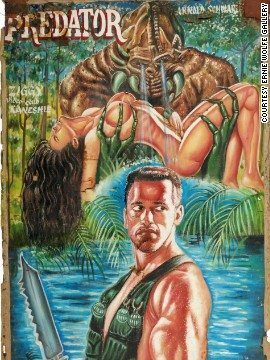 In Ghana — where the Golden Age of movie posters during the 1980s and 1990s produced these lurid, vibrant and outlandish originals — the movie poster may be a dying art form but it has since become big business.